This is essential! You must warm up those muscle groups the way you plan to use them. 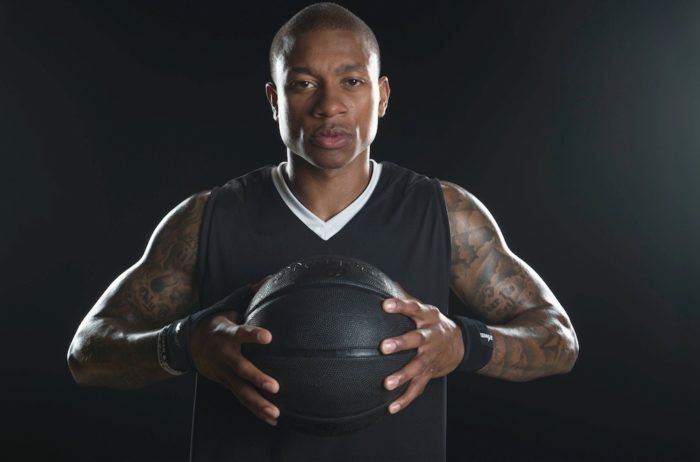 The argument can be made that basketball is both speed and endurance, however, for warming up I recommend dynamic exercises to assist the fast twitch muscles. This includes exercises such as: Jumping Jacks (begin with this as full body warm up,) walking lunges, leg swings, push ups, plank jacks, high jumps, and end with half court sprints. The idea is that the more you build up and strengthen those muscles, the less likely you are to injure them. Focus on the major muscle groups, but try exercises that incorporate more than one muscle group. Strength training isn’t just lifting weights, it also includes explosive exercises. Some examples are: box jumps, weighted sled push, weighted backwards lunges, power cleans, weighted lateral raises, and back extensions. In my opinion, this is the most important one. For most athletes, regardless of age, we are encouraged to push through the pain or push through our fatigue. There is a huge difference between pushing it when you are physically tired in order to strengthen yourself physically and mentally, and pushing through an injury and risking a more severe injury. It is essential to know when to stop and listen to your body. If you feel shooting pain in the back of your knee with each sprint up and down the court, you aren’t doing your body or your team any favors. Know when to stop and rest. Don’t forget, without rest days, your muscles can’t repair themselves and thus are at higher risk for injury. Some would say the cool down isn’t as important as the warm up, however, it should still be part of your everyday routine. Focus on static stretching in order to fully extend those muscles. Each stretch should be held for 15-20 seconds. injury. Make sure you Rest, Ice, Compress, and Elevate. 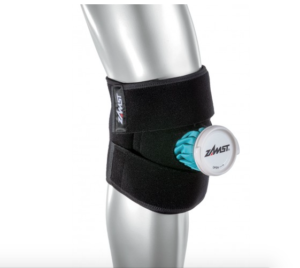 The Zamst IW-1 icing device can be placed on any small joint such as the ankle, knee, or elbow. 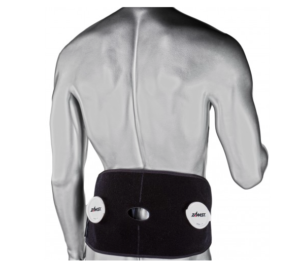 If you experience some pain in the shoulder or waist region, the Zamst IW-2 is equipped with 2 ice bags (instead of 1) and is designed to wrap around the shoulder joint or waist. Some athletes take ice baths after each practice and game to begin the rehabbing process.